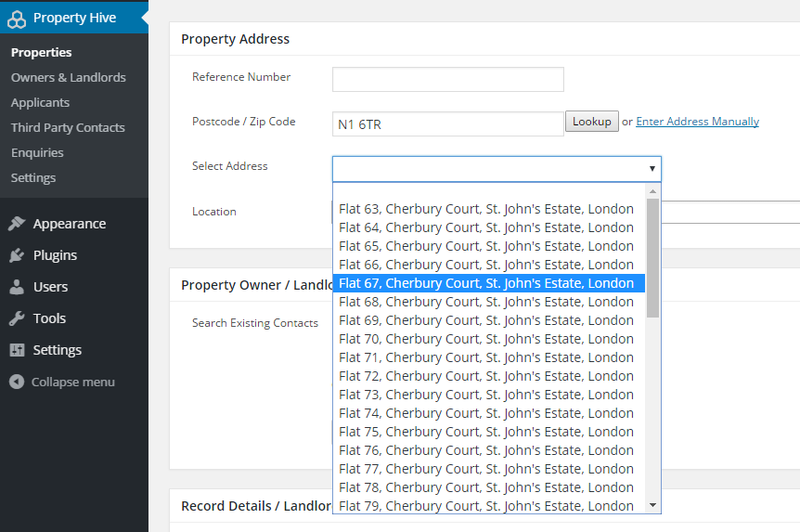 The Postcode Lookup add on makes it quicker and easier to add properties and contacts by performing presenting you with a list of addresses that fall under the entered postcode. This also ensures higher accuracy and more consistency by reducing the chance of spelling mistakes. The add on integrates with third parties to provide the data. 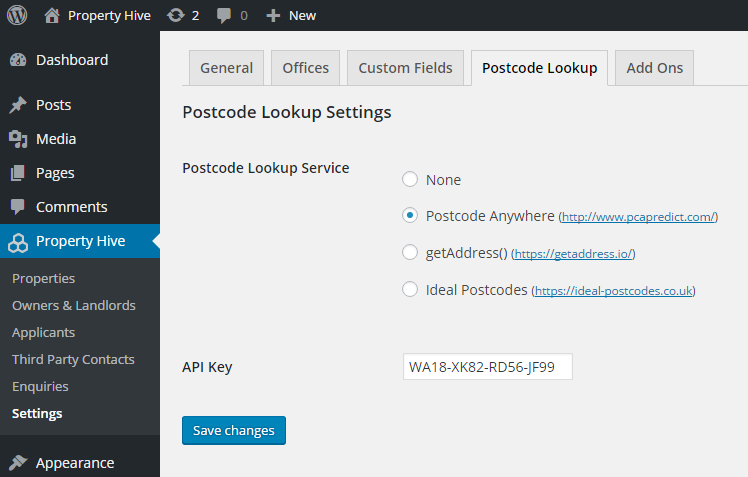 We’ve integrated with three of the leading services; Postcode Anywhere, getAddress() and Ideal Postcodes. We also support Google Geocoding which is a free service. Simply select the service that best suits your needs, enter your API key that they provide and instantly start performing address lookups. The functionality is excellent and the support from the Property Hive team has been absolutely fantastic giving help with customisation and with getting the feeds to portals sorted.